It was a rumor and then it was yes and no and finally, it does seem like a yes – at least for now. Starbucks the unofficial coffee king, will be accepting cryptos as a mode of payment. You would soon be able to pay for your favorite Starbuck beverage in Bitcoin. Glitzkoin CEO and second generation diamond veteran Navneet Goenka has always, emphasized the importance of widening the use of cryptos. In his opinion, ‘… cryptos need to get closer to the world of business, the usage of cryptos needs to go beyond the crypto community. Digital currencies, will never reach their full potential until they have significantly wide usage’. It is fair to expect that Starbucks would encounter some challenges, when implementing this innovative payment option – but that should not deter it from moving forward. Financial experts are talking about the tax implications though, this is something that can be resolved without much effort. It is also quite clear at this point that, Starbucks is not too keen to hold on to the cryptos that it receives as payment. Crypto traders hoping to see the coffee giant as a holder of significant crypto stocks, will have to dilute those hopes at least for the near future. Without tying ourselves down to Starbucks, it would be interesting to see how this concept, would impact the crypto industry as a whole. Navneet Goenka has this to say, ‘… an awesome way to increase the use of cryptos and also to increase awareness about them … ‘. It would be great if other business operators, followed the footsteps of Starbucks. There would also be a need for business operators to offer some form of incentive, to encourage clients to use cryptos to make a payment. This could involve a cost, the logistics of which would need to be worked out. It is a marketing expensive that will be reviewed in terms of returns. The January 2019 agreement between, online ticketing stalwart Myticket.asia and Glitzkoin, was conceptualized to increase usage for the GTN token. Glitzkoin is now an official payment partner on the ticketing portal. Customers shopping on Mytcket.asia, will soon be able to fulfill their payment process with the GTN token. 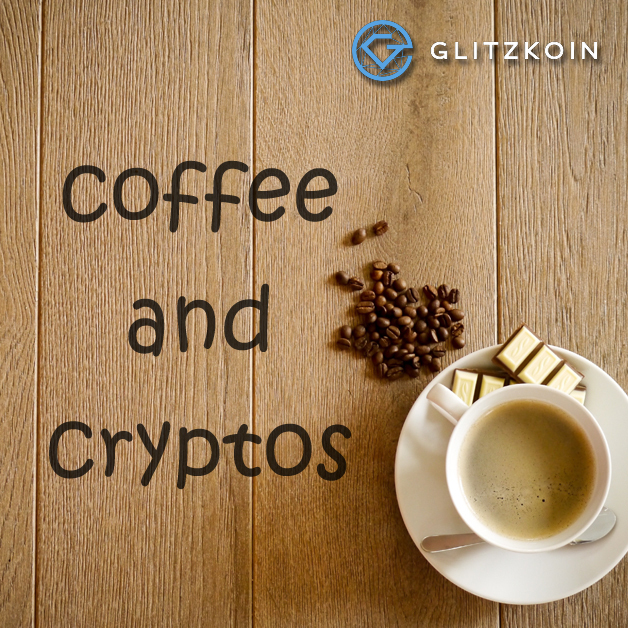 As far as business strategy is concerned, there is a glaring difference between, Starbucks and Glitzkoin. This is how Navneet Goenka puts it, ‘… not very sure how Starbucks benefits by accepting Bitcoin as a mode of payment. This especially because, it has shown little interest in actually holding on the crypto for a strategic trade in the future. But, for the crypto industry as a whole, it is a significant and positive move’. Glitzkoin had a clear vision when it pursued the deal with Myticket.asia. The GTN token was launched as part of the, Glitzkoin diamond blockchain project. The token is traded on crypto exchanges and is also, the official mode of payment on the DiaEx diamond trading platform. Glitzkoin draws interest from the diamond industry and the crypto community. Increased usage of the GTN token would enhance demand and this in turn, would have a positive impact on the price of the token. Glitzkoin management considers, the crypto community to be a strategic stakeholder in the project.